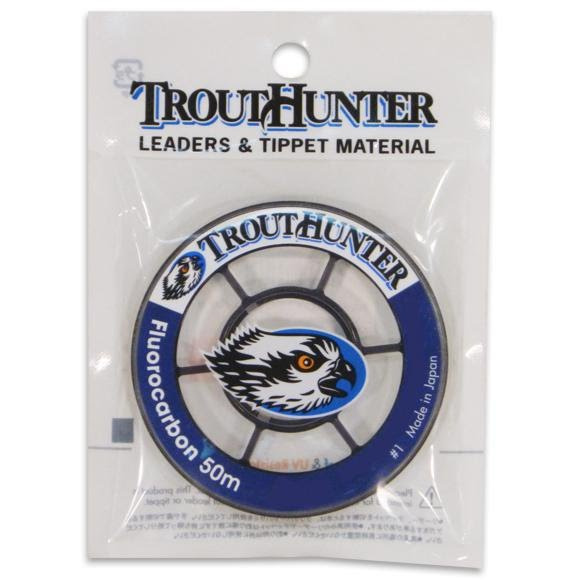 Whether nylon or fluorocarbon, TroutHunter tippet material offers unsurpassed strength and reliability. Our leaders afford the angler unprecedented levels of turnover and control. Protective packaging, 50 meter spools, and half sizes. Catch the Difference. Whether nylon or fluorocarbon, TroutHunter tippet material offers unsurpassed strength and reliability. Our leaders afford the angler unprecedented levels of turnover and control. Protective packaging, 50 meter spools, and half sizes. Catch the Difference.